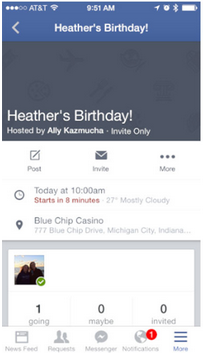 How to Create a Facebook Event on your iPhone or iPad? 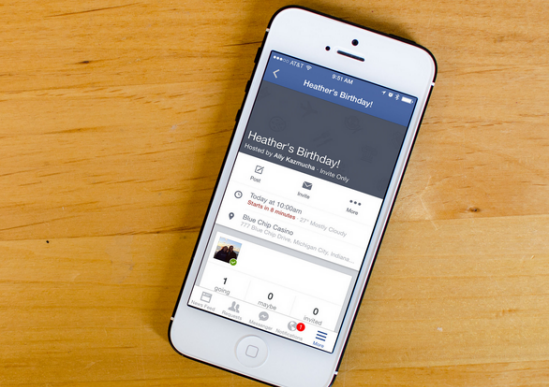 If you use the Facebook app on your iPhone or iPad, you can easily create events for parties and get togethers, no computer required. Unfortunately Facebook has decided to somewhat bury the feature, which has left a lot of people scratching their heads. If you’re one of the ones who couldn’t find it, follow along and we’ll show you where it’s at! 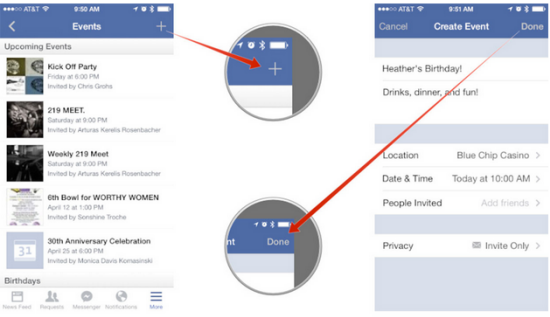 How to create a Facebook event in the Facebook for iOS app? 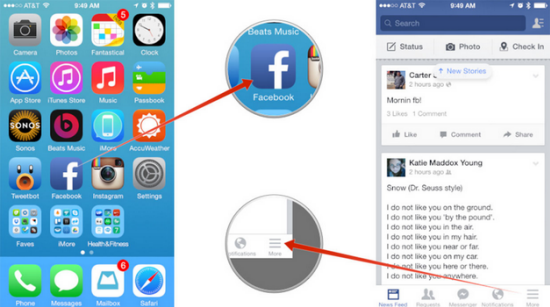 Launch the Facebook app on your iPhone or iPad. Tap on the More tab in the bottom navigation. Tap on the dropdown arrow next to the Apps section in order to expand all. 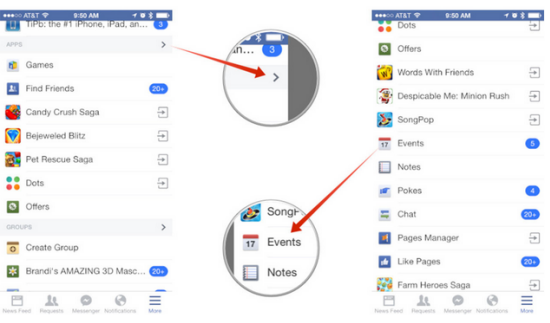 Find Events in the Apps list and tap on it. In the upper right hand corner, tap on the + symbol to add an event. Type in the information for your event. Once you’re finished, tap on the Done button in the upper right hand corner. That’s it! Your event should now be created and should then show up under the main events section. You can return to it at any time in order to edit it, add more people, and even cancel it. This entry was posted in Tips and Tricks and tagged create Facebook event on iPhone, Facebook app on iPhone, Facebook Event, iPad by IosdroneD. Bookmark the permalink.